From celebrating our trails to delicious food to the best bluegrass picking you've ever heard Durango has a lot to offer when it comes to nonprofit festivals. Snowdown is Durango's Annual City-Wide Fundraiser, filled with fun, costumes, contests, fashion, follies and more! 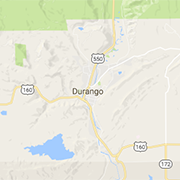 Durango, Colorado’s premier festival showcasing the fabulous fare of our fine restaurants and Craft Beer from our local Breweries.